We have our fair share of big events in Dubai and this week was no exception. The past two days has seen the Emirate become the place to be for social media influencers. Whilst we found ourselves invaded by all types of beautiful people (and others) waving their selfie sticks and pouting for the camera, there were some handy takeaways for an audience looking to learn more about how to use social media to build brands for themselves, their companies or their countries. Oh, and Twitter has finally decided to open an office in the MENA region, obviously in Dubai. If you’re looking to know which channels are used across MENA, then look no further. The report includes stats on LinkedIn, Facebook, Twitter, Instagram, Whatsapp, Google+, and YouTube. It also includes social media usage habits, including time of use, duration of use and devices used. Most importantly, the report looks into attitudes about social media across the region and what people are doing online. If you’re doing anything online in the MENA region, download this report and start dissecting. You can thank me later, on social media. 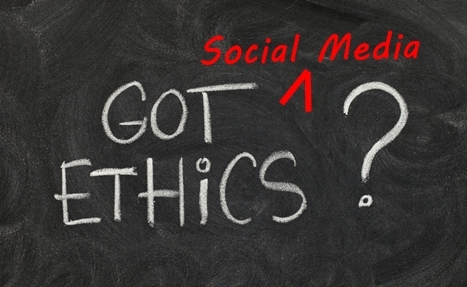 When it comes to social media, advertising and the Middle East, why don’t we have any ethics? Who needs ethics right? Ethics are boring, they’re dry, and they mean we have to use disclaimers. Ethics really aren’t fun. But you know what, without them we’d be in a fair amount of trouble. With the Arab Social Media Influencers Summit happening this week in Dubai, and a fair few social media influencers being in town (including quite a few from Kuwait who don’t make it clear that they accept money for posting on their social media channels), I want to reprint this post which I shared with the Media Network Middle East last month. I’d love to hear your views on ethics, or the lack thereof, when it comes to social media and advertising in our region. While European and American consumers are benefiting from crystal clear regulations on sponsored social media content, there’s little to no clarity here on the same. We’re awash with social media in our region. Everywhere you go, you’ll see people sliding their fingers left and right, pushing up and pulling down on their smartphone screens. We’re all at it, checking our Instagram accounts, refreshing our Twitter feeds, and posting Facebook updates. Today we have social media celebrities, people who have become famous through their online activities. There are Instagrammers in Kuwait with over a million followers, Facebookers in the UAE with hundreds of thousands of likes, and Saudi Tweeters with followings equal to the population of Bahrain. Alongside these social media celebrities we have witnessed the rise of paid posts. Those of you with a keen eye will have noticed how many celebrities online have become more commercial, and have begun to share updates, images and videos promoting brands. There’s nothing wrong with promotional advertising. Using paid influencer marketing is a common tactic to spread awareness, promote a brand, and to engage social media users across the globe. Online advertising can be more cost effective in terms of measurement and reach. However, there’s no distinction between an advert and paid-for content. Both involve a payment of some kind by a company for a promotion of its brand or services. Regulators across Europe and the United States have essentially ruled that if money is changing hands, obvious disclosure must occur in-ad. Their reasoning is simple; consumers have a right to know what is an advert and what is not an advert. While European and American consumers are benefiting from crystal clear regulations on sponsored social media content, there’s little to no clarity here on the same. Consumers here have no authority to turn to or no regulations to guide them on what is and what isn’t sponsored. There seems to be little eagerness for brands or social media celebrities to advertise what is paid-for content either. This is understandable, as their followers may be less inclined to engage with a post if they know it is sponsored, or even follow a person who they know accepts money for posts. While this lack of disclosure may appeal in the short term and help to maximise revenues (paid-for posts in Kuwait can fetch up to three thousand dollars per posting), it does nothing to building goodwill and trust with consumers across the region. A lack of honesty and transparency on what social media celebrities are paid to post will negatively affect trust in both the sponsoring brand as well as the celebrity who is accepting the payment in return for sharing the content. In the US the burden is on brands to ensure that their endorsers, such as bloggers and online influencers) are in compliance in terms of disclosure. Paid-for posts have to include language such as #Ad, Ad: or Sponsored. Even brand posts and shares by a company’s employees have to be clearly labeled to account for the bias. Either brands can take action and begin to self-regulate, or they can wait for regulators to finally step in and possibly take a harder-line approach to sponsored influencer endorsements. Is risking a reputation and trust, built up over years of marketing, worth risking over a lack of disclosure? I hope the answer is no.